H x W: 32 in. / 26 in. At the age of twenty-five, Stephen Decatur, Jr. became the youngest man to reach the rank of captain in U.S. Navy history. Decatur served three Presidents over the course of his illustrious military career. He fought in the Quasi-War (1798 – 1800) against France, the Barbary Wars of North Africa (1801 – 1805; 1815), and the War of 1812 against Great Britain. He commanded the USS Constitution, the USS Chesapeake, the USS United States, and the USS President, among others. Decatur was a national hero within his own lifetime. 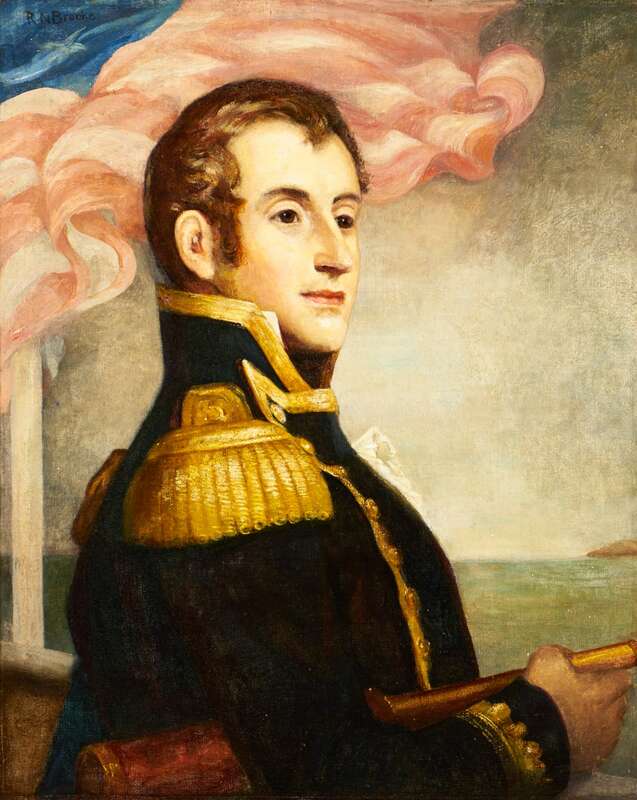 His name, like John Paul Jones, is synonymous with the U.S. Navy. His distinguished naval career ended early when he was killed in a duel with a rival officer, not far from Washington, DC. His funeral was attended by America’s governmental elite, including President James Monroe and the Justices of the Supreme Court, most of the members of Congress, and over 10,000 citizens of Washington. Five U.S. Navy ships have been named USS Decatur in his honor, as well as numerous streets, counties, and communities, including a thoroughfare in New Orleans’ French Quarter. He built his large home, now known as Decatur House, in 1818 at the corner of H Street and Connecticut Avenue, NW on Lafayette Square in Washington DC.